Your viable gameplay strategy may need to be altered soon. Fortnite and PUBG are two very different games, and as such there are important aspects that make each one unique. 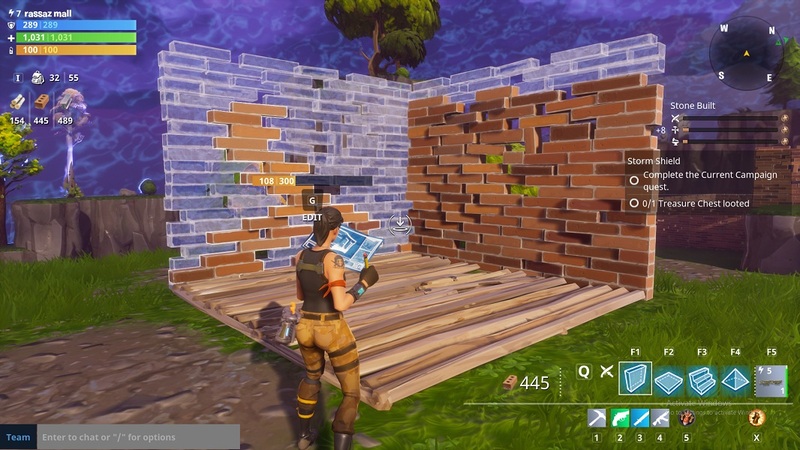 For Fortnite, it's the fact that you can build things. It's a standout feature for the title that everyone's well aware of, and an integral part of some players' strategies. It looks like that could potentially change later on down the road, if Epic Games' latest developer blog has anything to do with it. The new blog states the following: “It’s important to support a variety of late-game strategies, that don’t boil down to ‘just build lol’,” the announcement begins. “We strongly believe that the evolution of Fortnite supports a wide range of play styles and counterplay.” Following that, the company ran down parts of the game that others have used far too often for the developer's tastes, like the "superiority of shotguns, rockets, and uncapped building." This certainly sounds like something that could be changing in the future, if you take this blog post as gospel. Epic hasn't offered any further commentary on what this might mean going forward, but it reaffirmed the fact that "not every encounter should have to end in a build-off." We could likely see the result of these mandates in the coming weeks, but right now you might want to covet your building abilities and how you can jump into doing it as much as you want right now. That could all go away in the future.